LAKE WORTH, Fla. – Ben Hartman of West Palm Beach earned his first victory on the Fuzion-Minor League Golf Tour with a five under par 67 Monday at The Falls Country Club. 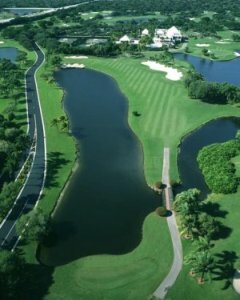 Hartman, 28, a former University of Florida golfer, made five birdies in a span of six holes on the front nine, at Nos. 2, 3, 4, 6 and 7. He earned $720 from the $3,276 purse, raising his total earnings to $24,943. Hartman has played on the MLGT since 2006. 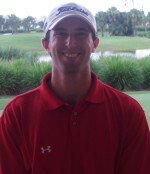 Q-School Contest winner Kyle Willmann tied for second place with Greg Duncan of Edinburgh, Scotland at 3-under par 69. There was $180 in the skins pot with 3 skins out worth $60 each.